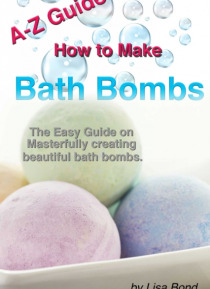 * There are many uses of bath bombs, the primary one being the feeling of being pampered and indulged. You feel relaxed after a few minutes in such an environment. Create a spa-like atmosphere. Add music, take a book and soak in. Or have something hot to drink or just wear a face mask. By the time you finish the bath, your mask would do its job and help you look great. Bath bombs that have essenti… al oils like eucalyptus oil help you with sinus relief. Just use warm water in the tub and drop in a bomb and relax. Other bath bombs with specific essential oils help you relieve muscle pain and improve sleep. Use bath bombs for aromatherapy, which will make you feel less stressed and more awake. It will reduce anxiety and lift depression and leave you energized and lively. Hence, choose the bath bombs accordingly. You can also display a bath bomb in a nice cool dish in the bathroom. It will disintegrate slowly and act as an air freshener with a nice subtle fragrance.